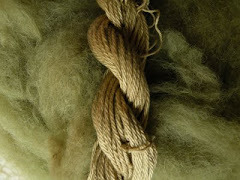 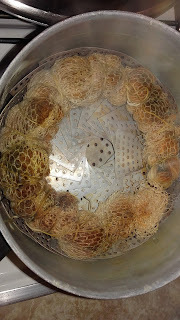 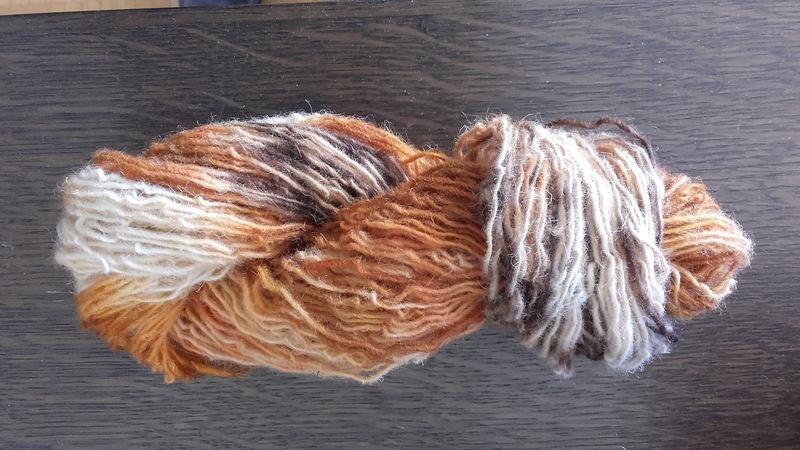 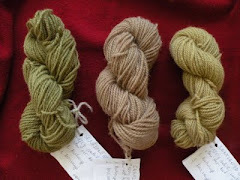 Very beautiful, and walnuts gave a surprising color to the yarn. 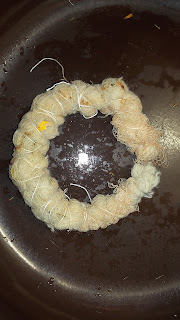 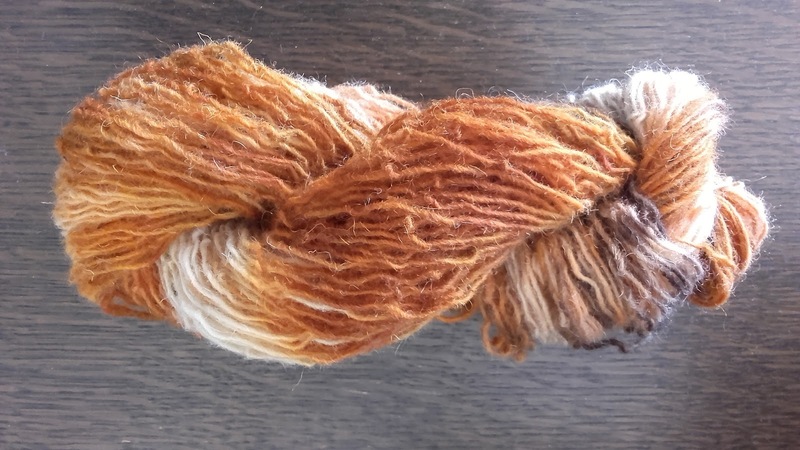 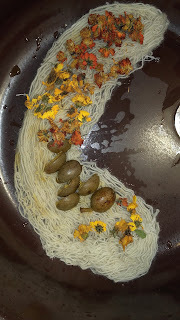 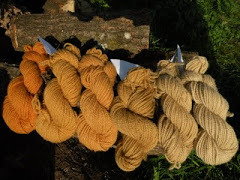 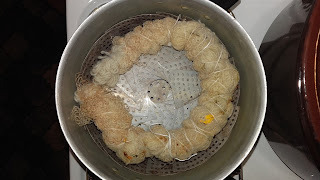 This is a great way to make variegated yarn. I think I'll have to try it.